Staines-upon-Thames, UK, February 27th 2019 – TV4 has agreed an extension with Yospace to provide server-side ad insertion (SSAI) across its TV Everywhere service, TV4Play. TV4 was the first company to launch the technology in Sweden in 2014, initially using it to monetise VoD content before applying it to live channels, too. The technology is a crucial cog in TV4’s forward-thinking data strategy as it allows advertising to be one-to-one addressable and opens the door to a mix of ad sales methods, including first and third-party sold and programmatic. This is achieved while maintaining a true TV-quality viewing experience, which helps TV4 to achieve its goal of removing the distinction between traditional linear TV and digital and present itself as platform agnostic to advertisers. Yospace’s SSAI solution (also referred to as dynamic ad insertion) allows advertising to be stitched into live and VoD content watched via OTT in a way that is completely seamless to the viewer. Ads are prepared in advance to match the encoding profile of the source stream and are stitched before the video reaches the user’s device, thus removing the prospect of buffering and inconsistencies of older technologies as programming switches to and from an ad break. Each viewer session is handled individually, meaning that an ad call is made on behalf of each viewer. This helps TV4 future-proof its advertising: the broadcaster is free to continue developing its data strategy knowing it already has the necessary ad-tech in place. TV4Play for web can be accessed at https://www.tv4play.seand the app is available on all the major connected devices. Yospace is the foremost provider of server-side ad insertion (SSAI) technology in the world today. Its solution allows live streams and on demand (VoD) content to be monetised for OTT in a way that is true to the seamless viewer experience of linear television, while opening up benefits of digital advertising such as one-to-one addressability and real-time measurement. Yospace was the first to publicly demonstrate SSAI in a live stream, with ITV in 2012, and today services major broadcasters and network operators across the globe, including AT&T in the USA; Sky Media, ITV, BT Sport, Channel 4 and STV in the UK; Telia and TV4 in Sweden; SonyLIV in India (in partnership with Akamai Technologies); Seven West Media and Network Ten in Australia. 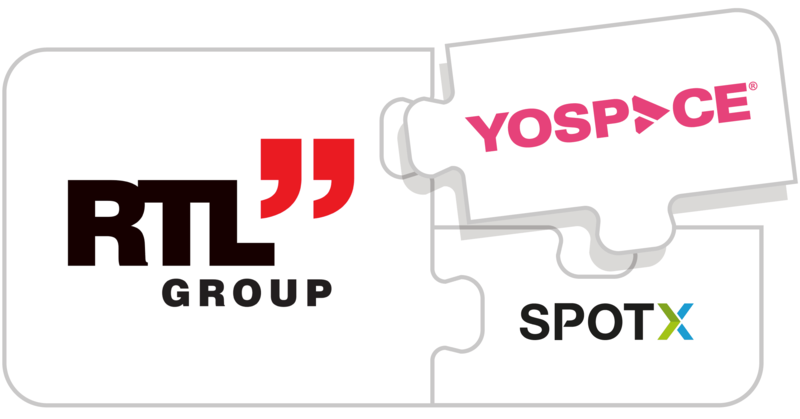 In early 2019 Yospace was 100% acquired by RTL Group.